Unzip the downloaded release, and change the name of the folder to `pushsafer`. 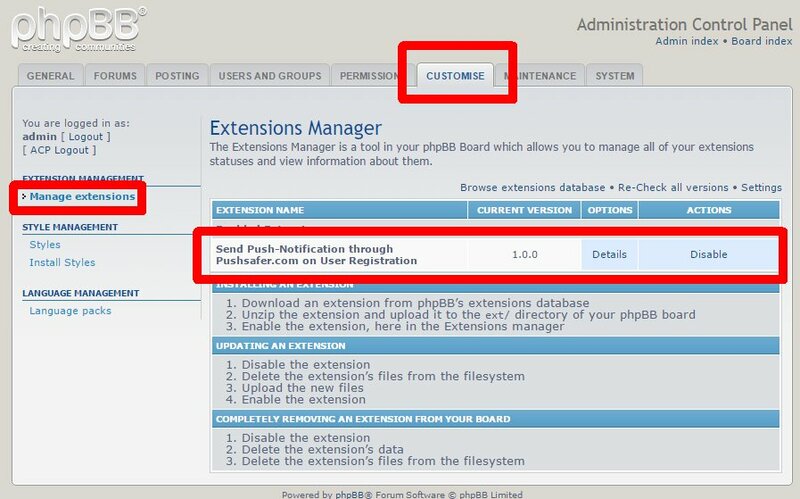 Copy the content `appzer/pushsafer` in the `ext` directory of your phpBB board (`ext/appzer/pushsafer`). Look for `Send Push-Notification through Pushsafer.com on User Registration` under the Disabled Extensions list, and click its `Enable` link. 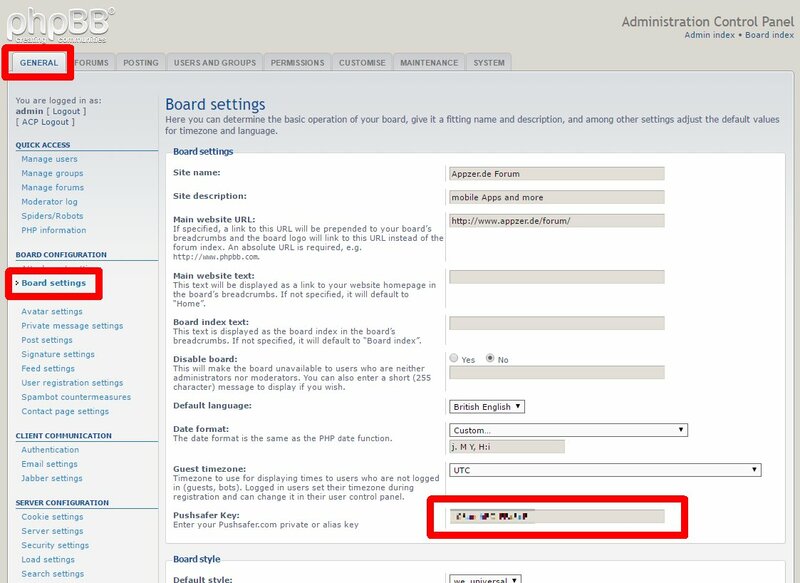 Set up and configure Pushsafer.com by navigating in the ACP to `General` -> `Board Configuration` -> `Board Settings`. Notice: Private Key send notifications to all devices with standard configuration, Alias Key send notification to specified devices with your configuration. Look for `Send Push-Notification through Pushsafer.com on User Registration` under the Enabled Extensions list, and click its `Disable` link. To permanently uninstall, click `Delete Data` and then delete the `/ext/appzer/pushsafer` folder.